In our last post (if you missed it, you can click here!) we discussed exactly what Content Upgrades are and why they're critical for your brand and reaching your audience effectively. Today, we're jumping in feet first! With so many ideas for Content Upgrades, it can be difficult to choose what may work best for you. 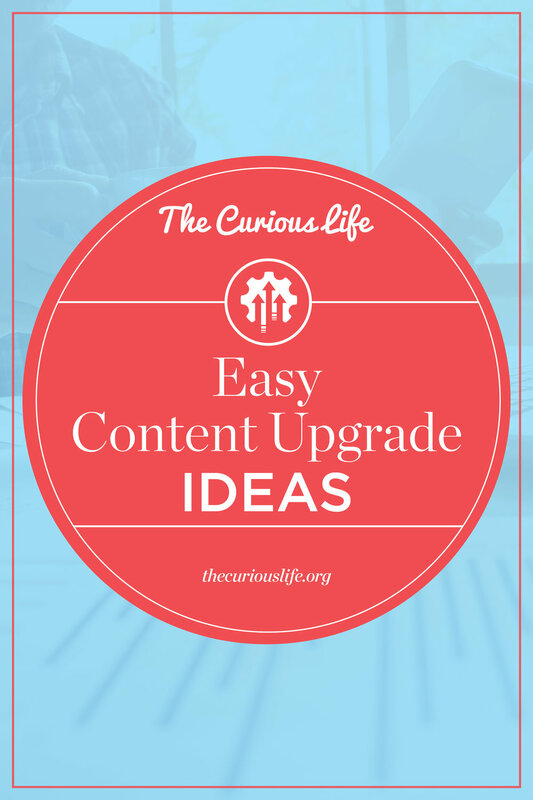 Below are six great examples of easy Content Upgrade ideas you can start today. BONUS: I've also put together a cheat sheet which includes all of the below plus six ADDITIONAL ideas to get your creative juices moving! Click below to grab it from our Free Resource Library! A great example of something that doesn’t take long to make but is incredibly useful, your readers can make sure they’re following your recommendations and workflow, in a step-by-step order, to get to the finish line. It’s up to you how much detail you’d like to include, but don’t go overboard. Useful upgrade to an instructive video or post describing a process. Example: My post on How to Rock Being Laid Off includes a checklist that recapped the recommended steps to make sure you have all your ducks in a row when a lay-off was either eminent or had just occurred. You can visit the post here. If you have a selection of tools that you often refer to in your posts (I recommend at least 5-6), it may be a good idea to create either a comprehensive download that you can continually link to, or create a separate Resource Library. You can choose to have this password-protected, and only open to those who have opted-in and provided their e-mail address, or keep it completely open where an e-mail address is required for each download. Example: A perfect example is from KISSMetrics, a customer web analytics solution. You can find their website here. 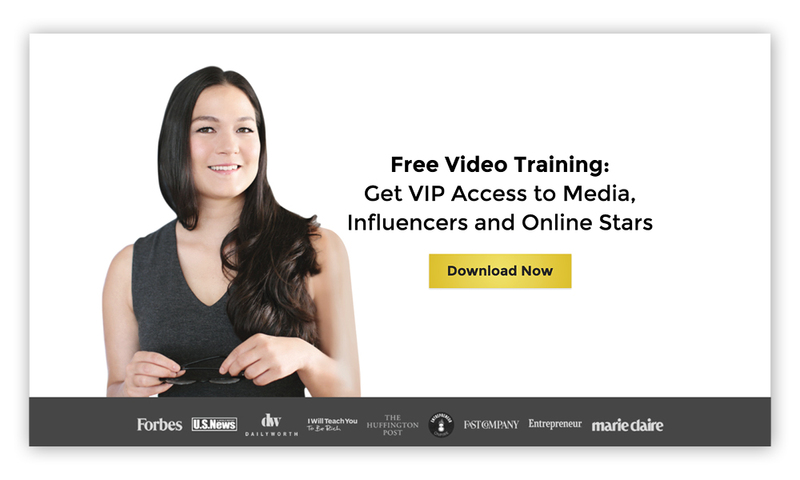 One of the most popular ways of getting your message out is either via a podcast or video (be it via Facebook Live, YouTube, Vimeo, or other hosting sites). Access to any of these is a fantastic venue to provide premium content to your readers. The subject matter can be whatever you like: an interview, recording of your post, a get-to-know you piece, or a walkthrough (to give just a few examples). Either way, offering this via a content upgrade is a quick way to get those e-mail addresses rolling in. Example: Selena Soo helps experts, authors, and coaches who are looking to make it big — both online and in the mainstream. Her free video training is available at selenasoo.com. So, you’ve made the aforementioned podcast or video - congrats! You’ve actually created another opportunity for a content upgrade. Having a transcript available is a convenient way for your readers to consume your podcast and video content when listening/viewing is not preferred or possible. 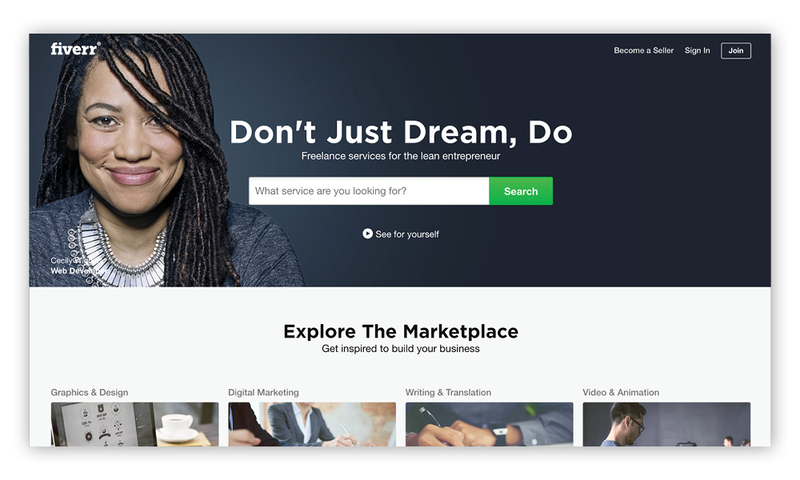 If you don’t have the time to transcribe your content, you can use transcription services such as fiverr.com. Walkthroughs, Worksheets, and Guides are the backbones of the content upgrade world and can run the gamut between something either quite small to something rather comprehensive. Either way, you’re creating content that not only should be evergreen, but that you can link back to over and over again whenever the subject comes up (which will save you lots of time in the long run). You are the expert here, and this is your opportunity to show it off in front of an audience eager to learn. If you have a design and want to make it editable, head over to this post which details step-by-step how to go from design to fill-outable form! 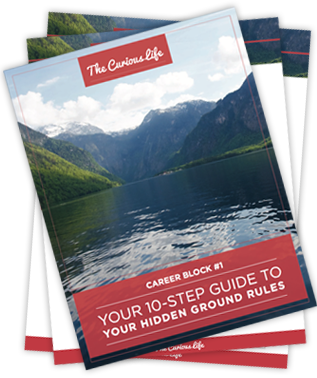 Example: My worksheet to find your “Hidden Ground Rules” is an example of the far-end of the content spectrum, venturing into more of a workbook (it also includes a bonus podcast). You can find it at thecuriouslife.org/free-resources. Talk about an incredible way to connect! 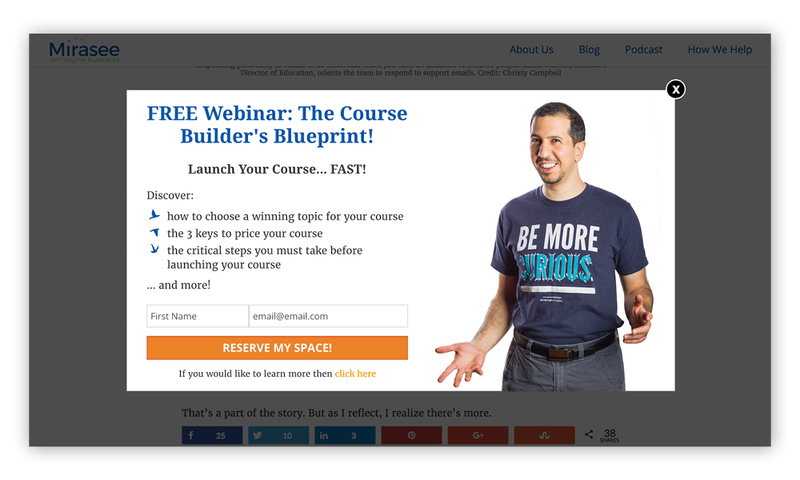 Webinars are like mini live classes where you can either speak free-form about what you're offering, giving people a taste of your class or content, answer questions, or have a more formal slideshow where you present an organized free mini-course. 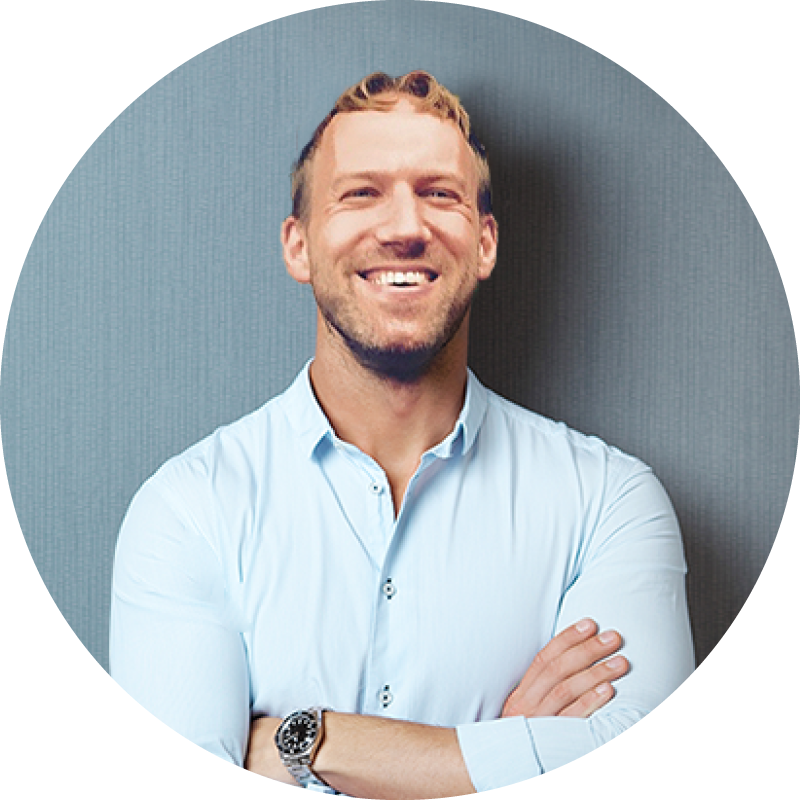 In the latter, this usually leads to presenting additional information at the end about your paid courses or offerings, which, now that your potential clients have had a taste, they will be much more likely to be interested in. Thanks for reading through! 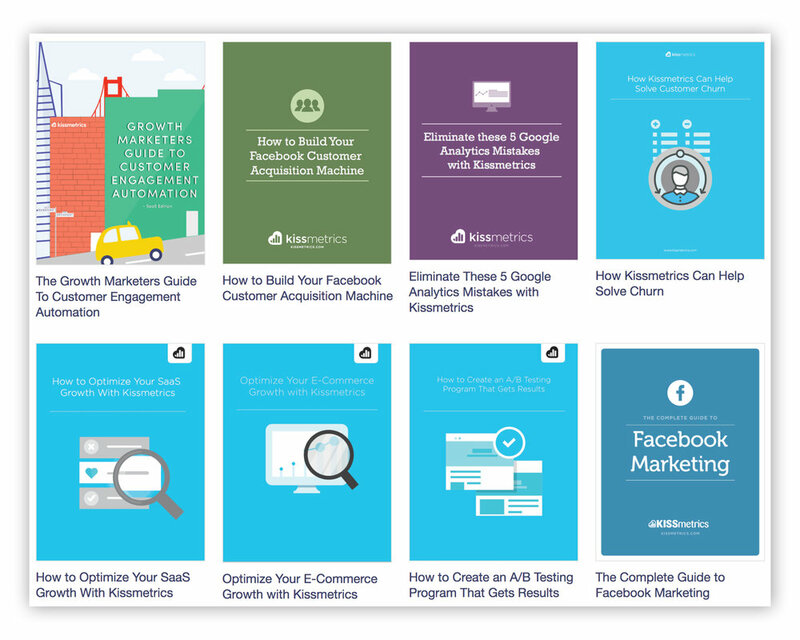 Don't forget to download the cheat sheet below from our Resource Library, which includes all the above plus six ADDITIONAL ideas to help you along in your Content Upgrade creation spree!